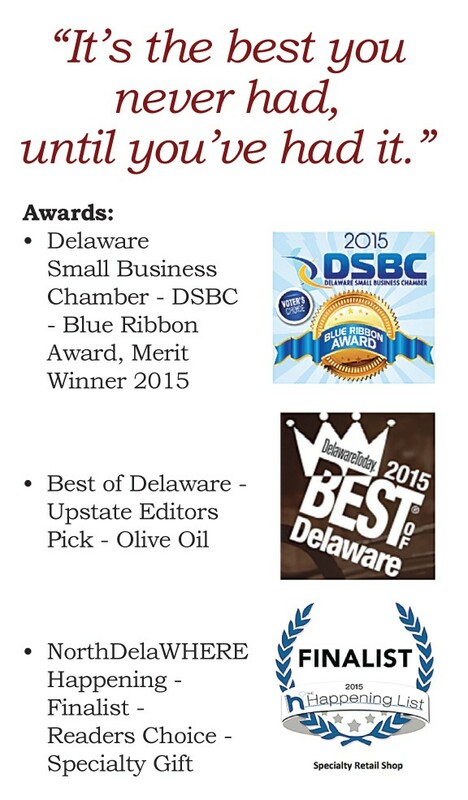 Stop in and “Taste the Experience and Experience the Taste” of Fused/Infused Olive Oils and Aged Balsamic Vinegars that will please your palate with deliciousness! 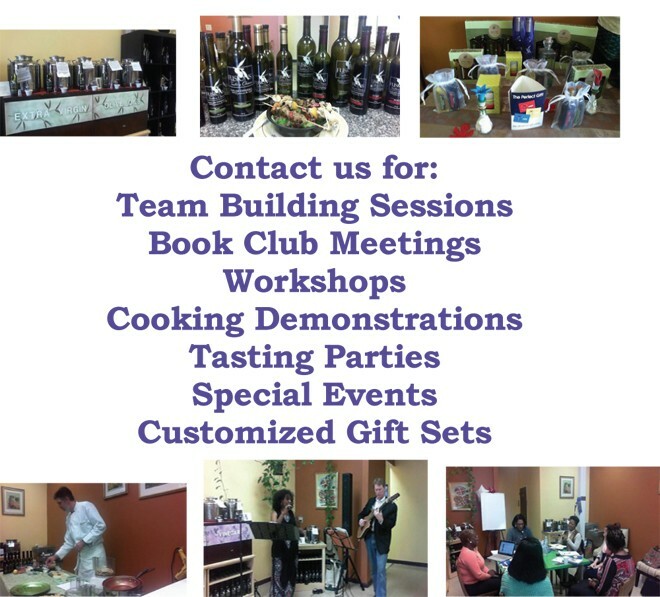 The first Tasting Center in Delaware, offering tastings of over 50 items and pairings of the perfect combinations of oils and vinegars. Certified Ultra-Premium Extra Virgin Olive Oil with the date olives were crushed and guaranteed freshness up to 14 months. Traceable from the tree to the bottle because it is bottled at the store. – Extremely complex and a taste panel favorite. Cancer, High Blood Pressure, Stabilizes Blood Glucose Levels, Diabetes, Acne, Aging etc. These products are not sold in big box stores or available to supermarket chains. Considered gourmet oils and vinegars, they are specialties. EVOOs are purchased based on the crush dates in order to guarantee freshness. Balsamic Vinegars are barreled aged and originate from Modena Italy, the premier vinegar location. 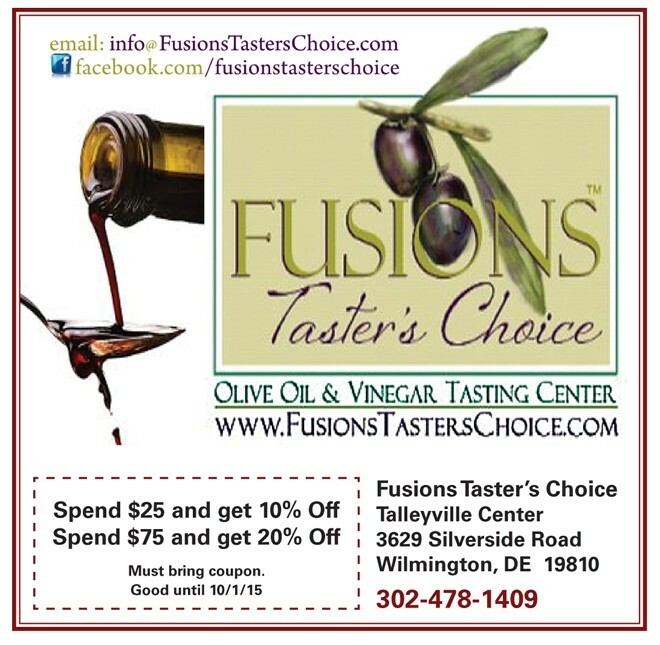 The unique characteristic of shopping at Fusions Taster’s Choice is the ability to taste the oils and vinegars prior to purchase. 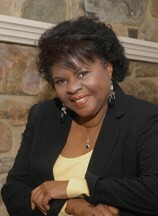 The “Master Mixologist” will pair oils and vinegars together for a palate pleasing sensation leaving you wanting more.